Accessorising your outfits can completely transform the way you look; the simple addition of a hat or scarf, switching up the flats you usually wear with a pair of boots, or adding a bag or some extra jewellery can make your usual style look brand new. I really feel that the accessories you add always give the final touch that pulls an outfit together so I made accessorising more one of my wardrobe resolutions. 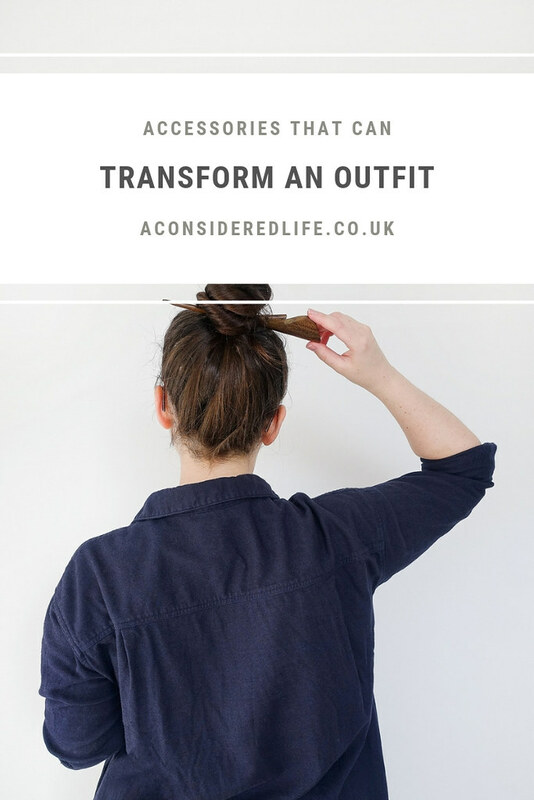 I want to push the boundaries of my style comfort zone and a relatively safe way to do that (without destroying the balance of my minimalist wardrobe!) is with new accessories. I have super long hip length hair, which I like to throw up in a messy bun to keep it off my face when I need to get stuff done. The trouble is, long hair can be unwieldy; keeping it in place without a dozen bobby pins and a thick band can be a struggle. SAYA Designs makes hair sticks and hairpins from salvaged root wood sustainably sourced from old plantations across Indonesia. It's a fully renewable and eco-friendly material that is repurposed into original hair tools, and for every hairpin up to 10 endangered trees are planted. I don't think I've ever come across a more wholesome haircare brand! I've added the The Tapioca Leaf* to my daily arsenal of new accessories; it's a lightweight hair stick that can handle a lot of hair. Using a wooden hairpin or stick instead of plastic clips or elastic bands helps reduce damage to healthy hair as it doesn't pull or snag while putting it in or taking it out. Designed to be as beautiful as it is functional, this hair accessory can handle long, thick hair with ease; I never feel it's going to fall out and its simple design means I can wear it in many different ways. What I love about SAYA Designs (aside from their wonderful ethos) are their useful and easy-to-follow hair tutorials for using the hairpins. I thought I'd struggle to get the hair stick to pin my hair securely but it couldn't be easier, which makes accessorising my hair a whole lot simpler. I am all about jewellery but I frequently forget to get creative with the pieces I wear. I'll typically wear the same combination of my wedding band, a pair of classic studs, and a single minimalist necklace, which isn't that inventive! I'm minimalist in style through and through so bold statement pieces just aren't appealing; stackable jewellery is the way to go if you want to accessories your outfits without losing that minimal style. Stacking rings and layering necklaces really transforms an outfit especially if you have a minimalist wardrobe; outfits can look quite plain but when you add jewellery into the mix it elevates your style to a new level. 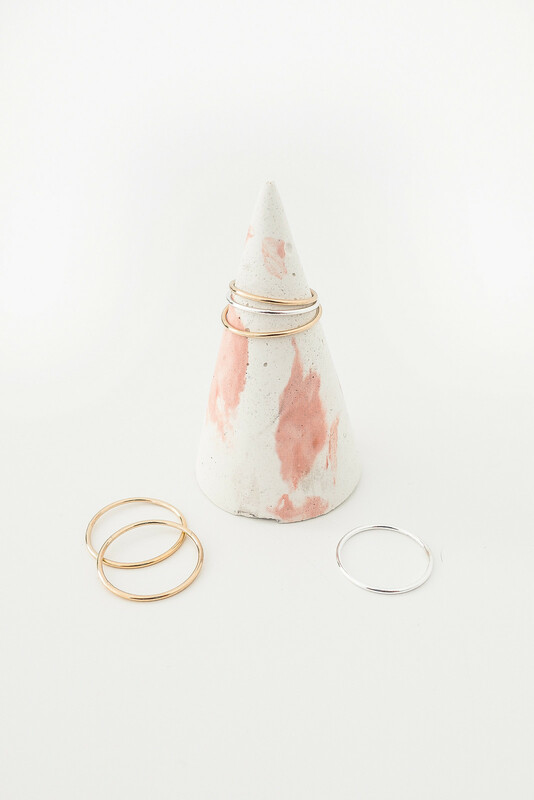 OMCH are launching stackable rings, which can be worn in a variety of ways: on their own, as midi rings, or stacked up for more impact. 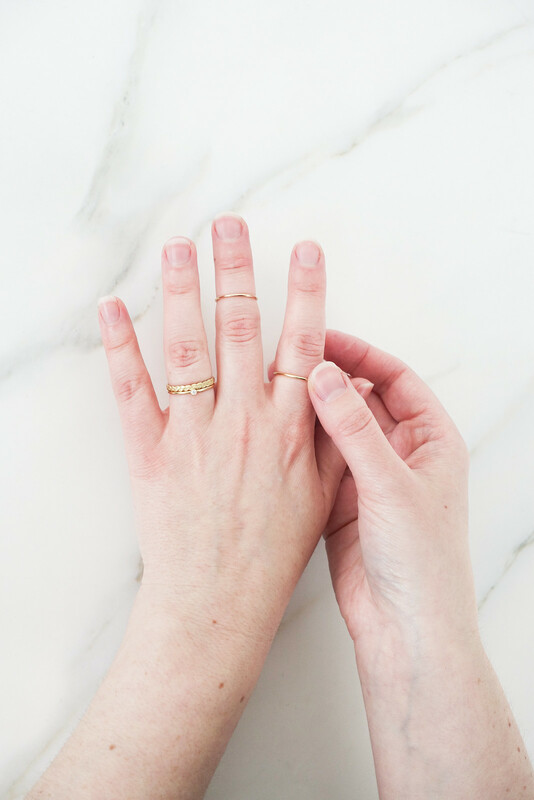 If you don't know your ring size, this ring sizing guide has all the measuring instructions, a sizing chart, and tips for finding the perfect fit. Bold statement necklaces are often garish and over the top, and they rarely outlast the season. Layering minimal necklaces (with a handy multi-strand clasp) creates a statement without having to spend money on trend-led pieces; it's all about length, shape, and attention to detail, this guide will help you find the perfect combination. I've never been shy about wearing glasses, I think they're a great accessory that's easy to wear and, if chosen well, really compliment an outfit. To wear glasses as an accessory (and not just as a tool to see!) you need to pick the right shape for your face in a style that isn't too trend-led or too old-fashioned - it's a fine line to get right. 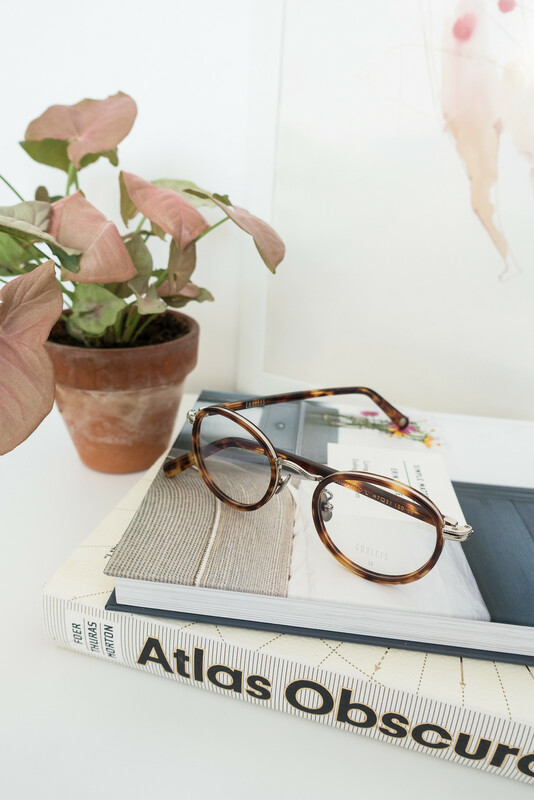 At-home trials are fantastic for this reason, they allow you to try frames on at home, see what styles work (and what don't) and test them out with your existing wardrobe. I've previously used Glasses Direct but I was on the hunt for something different than their usual offerings. I discovered a couple of new-to-me glasses brands: Cubitts, Ace & Tate, Peep Eyewear, and Iolla. Only one offered an at-home trial Cubitts (although Peep Eyewear have amazing customer service - more on that in another post!) They have so many beautiful glasses frames that picking only five pairs to try on at home was tough. You certainly get what you pay for when it comes to investing in new prescription glasses, and quality frames can be pricey. Glasses are one of those accessories you can only have one or two of so picking the right pair can feel like a big decision. Being able to try frames on before you buy them plays a huge role in the decision making process.